One of the four gates to enter into Taj Mahal. It is four storeyed main gate which is 100 feet height and built in red sandstone. 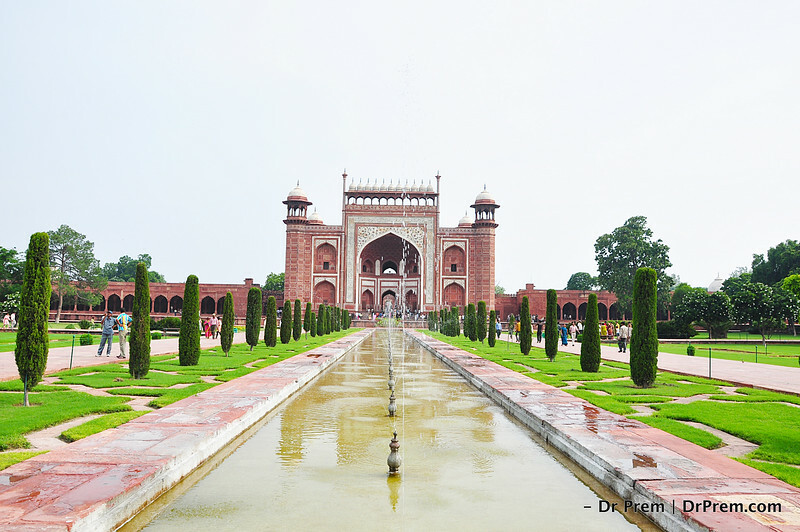 There is a fountain in the middle, from the main gate to the Taj Mahal along with garden both side. This main gate is also called Darwaza-i rauza.